For individuals with lymphoedema, it's vital that they have an effective and adjustable way to help them live with their condition on a day to day basis. The BiaCare CompreKnee 30 - 40 mmHg Compression Knee Wrap provides moderate compression to knees, helping to reduce and prevent swelling in the lower leg. It is designed for use with the BiaCare CompreFlex Thigh Component 30 - 40 mmHg Compression Wrap and the BiaCare CompreFit Thigh Component 30 - 40 mmHg Compression Wrap. By applying 30 - 40 mmHg of moderate compression to the lower leg, the CompreKnee wrap helps fluid to move more freely throughout the limb. This helps to prevent and reduce swelling in lymphoedema patients, enabling them to go about their daily lives more easily and freely. On top of this, the CompreKnee wrap can be worn during the day or the night, enabling wearers to get the help they need when they need it. As well as being effective in reducing swelling, the CompreKnee wrap is also incredibly easy to use, even before you buy it. 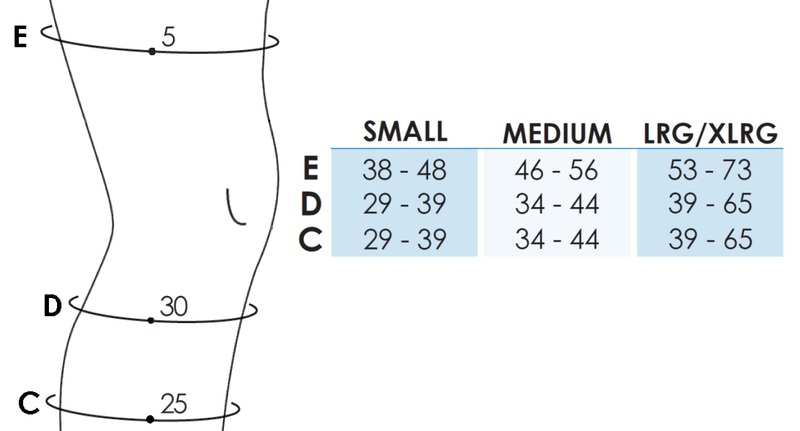 Its simple sizing system helps you ensure you get the right size for your needs, and its simple fitting design makes it incredibly easy to put on and take off. 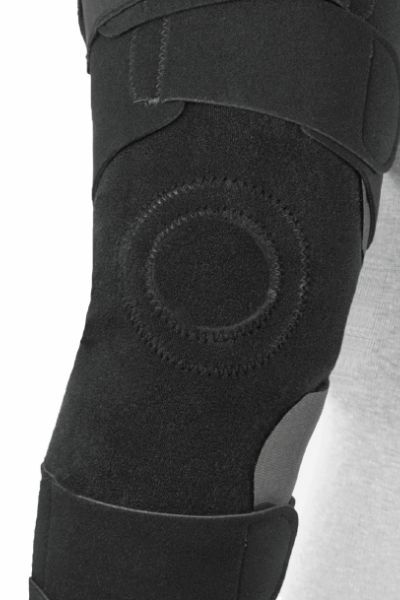 The BiaCare CompreKnee 30 - 40 mmHg Compression Knee Wrap is available in three different sizes. Use the diagram below to measure the circumference and length of your foot at the indicated points, and check your results against the table to find the size that's right for you. BiaCare CompreKnee 30 - 40 mmHg Compression Knee Wrap are non-returnable and non-refundable on grounds of hygiene.